Many home-owners invest in an attractive driveway to give the entrance of their home a more welcoming presentation. 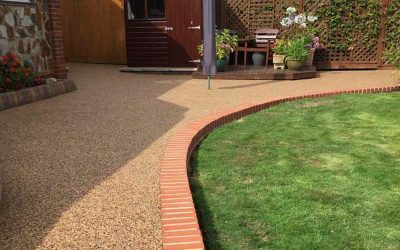 With a wide variety of resin colours and paving products, Driveway Transformations has made it is easier than ever to ensure your home is the best it can be. At Driveway Transformations we prepare all our own driveways. There is no need to look elsewhere. We can install drainage systems and soakaways, recess covers and aco drains; all parts of a system that will help to prevent any issues with whichever type of driveway you choose to have installed. We carry out everything from small remedial works to a complete excavation of an area. When preparing a driveway, we initially survey the area by checking levels and any drainage problems that may occur. A common issue that arises is the sloping of a driveway toward the property, a problem we would resolve by either correcting levels or fitting sufficient drainage. We ensure that all resin driveways are fitted in accordance with the SUDS building regulations. 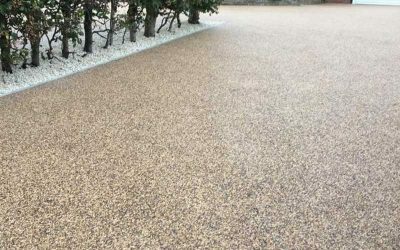 Depending on what surface is already on your driveway, we can lay either concrete or a base course of tarmac to prepare for a resin finish. On average, we dig down 220mm and build up a solid base from there. We begin with a ground stabilising membrane, which is covered in 150mm of type 1 stone. These layers of stone are compacted, which creates a solid base for the driveway. Driveway Transformations fits decorative edgings such as block paving and kerbs to establish a professional and aesthetic finish. Any kerbing that we install is made especially stable by embedding it in a concrete casing. With the vast range of materials we have available to us, your home will boast its own bespoke driveway. Whatever your preferences may be, we can make your vision a reality. We initially survey the area by checking levels and any drainage problems that may occur. A common issue that arises is the sloping of a driveway toward the property, a problem we would resolve by either correcting levels or fitting sufficient drainage. 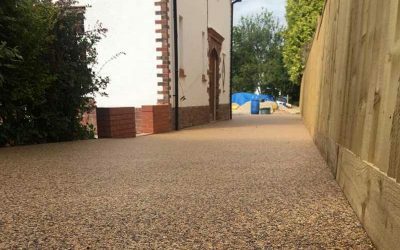 We ensure that all resin driveways are fitted in accordance with the SUDS building regulations.